Podcasts didn't exist in 1965, but looking back that far can teach us an important lesson about podcast cover art. Jack Johnson was a music manager in Nashville. In 1965, he signed a young artist to a contract with the RCA Victor record label, where the artist caught the ear of producer Chet Atkins. The artist, Charley Pride, was black. His style of music, country, was primarily white. For the first two years of his career, Johnson made sure none of Pride’s photos were on his album artwork. This wasn’t to insult Pride — it was to force potentially biased listeners to connect with his voice. Once this happened, success followed. By the early-to-mid-1970s, Pride had become the best-selling performer for RCA Records since Elvis Presley. He's had 39 No. 1 hits on the Billboard Hot Country Songs charts. This is the power of “mystery” and getting people to connect only with your voice. Society is much more open-minded today, but photos on your podcast cover art are a double-edged sword. If you’re extremely good-looking, people will have judgment about that. If you wear religious headwear, people will have judgment about that. If you’re older (or younger), people will have judgment about that. And some people just won’t like you. In 2011, radio host Dave Ramsey, started a spinoff podcast of his syndicated radio show, The Dave Ramsey Show. The title was EntreLeadership. Dave Ramsey has never been the host of EntreLeadership. 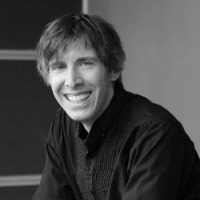 Still, as a podcast produced by his company, it was decided to put his photo on the cover artwork. Was it an ego play? Maybe. Regardless, Dave Ramsey is arguably a big enough celebrity in this space to have enough recognition among listeners that his photo on the podcast’s cover art could help it get more listens. Unless you can’t stand Dave Ramsey and don’t want to listen to him… In that case, you’re going to skip over a show that he isn’t even part of. The double-edged sword of podcast cover art strikes again. For every person you gain by using a photo of yourself on your podcast artwork, another will skip over you. Today, the podcast cover art for EntreLeadership is all text, with no photos of Dave Ramsey or any of the three hosts he’s used. Will The Real Podcast Host Please Stand Up? Grammar Girl is a podcast on grammar hosted by Mignon Fogarty. Each episode provides short, friendly tips to improve your writing. “Short and friendly” isn’t what most people think of when they think of learning grammar. To deliver content in this way, Grammar Girl is big on personality. Yet her name, Mignon Fogarty, doesn’t appear in the title of the podcast or the byline. 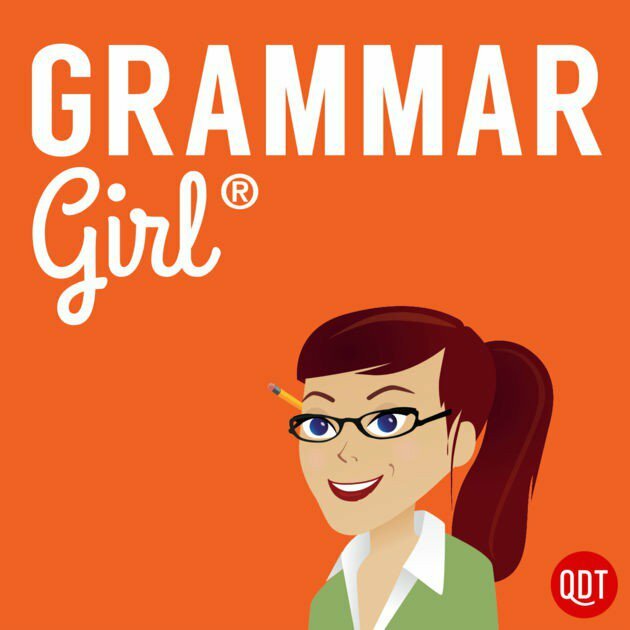 The image of “Grammar Girl” used in the podcast cover art looks like clipart. Because Grammar Girl was designed to be bigger than the host. Should Mignon Fogarty ever want to walk away from it, it will be much easier to replace a “character” than herself. You have a very limited amount of space to create compelling podcast artwork. I suggest focusing on cover art with text that explains what your podcast is about (which should be the title) and an image that backs this up. Because most podcasts are consumed on mobile phones with small screens, you have approximately 2"x2" to display your podcast artwork. Because of this, you need as much room as possible to convey important things about your podcast and the “thousand words” that photos are known for doesn’t apply here. Not using your photo as part of your podcast cover art leaves some mystery and mystery is interesting. People are listening to you, not watching you. Like Charley Pride, let potential fans find out who you are via your voice.